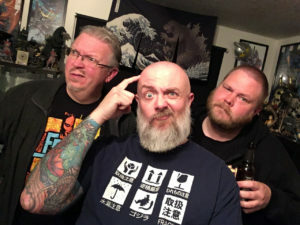 Dave, Kyle and Clancy try to figure out what the hell Demeking (2009) was really about. Oh, wow – what day is it? I should really put my podcast together then!!! Yes, I know, I just posted episode 200 the other day but things have been crazy busy for me here. No kidding, I produced and edited FOUR different podcasts this week. This particular installment, therefore, is a bit shy of our standard hour plus episode length. This month we’re looking at a bizarre independent film from 2009 called Demeking. This movie was never part of the original discussion list but was added with the additional titles. I never picked this one up when it was released on DVD here in the States (and I’ll advise you to do the same), and I’m not upset about that decision. When I finally found it and Death Kappa on DVD at our local Japanese bookstore, I chose Death Kappa. And while I may have thought a mistake had been made, I now know that Death Kappa is actually better than another film. That film is Demeking. It just brings up so many questions — and one of those questions: is Demeking really a kaiju movie?? In short, not really, but hopefully you’ll enjoy our discussion of the film! If you want to see some sample pages of the Demeking manga, this blog has a few scans. 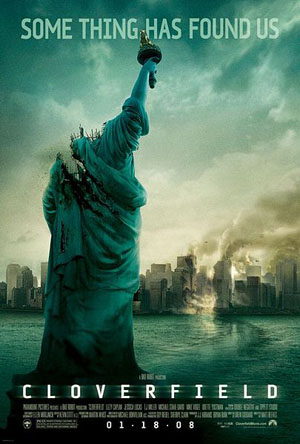 Next month we are tackling an American take on the kaiju genre with Cloverfield (2008). I’m looking forward to seeing how well this film holds up almost ten years after its debut. If you’d like to send in your thoughts, questions and reviews for this film, please do so before May 26th!